Obermeyer helps you get the whole family involved with your every outdoor activity. 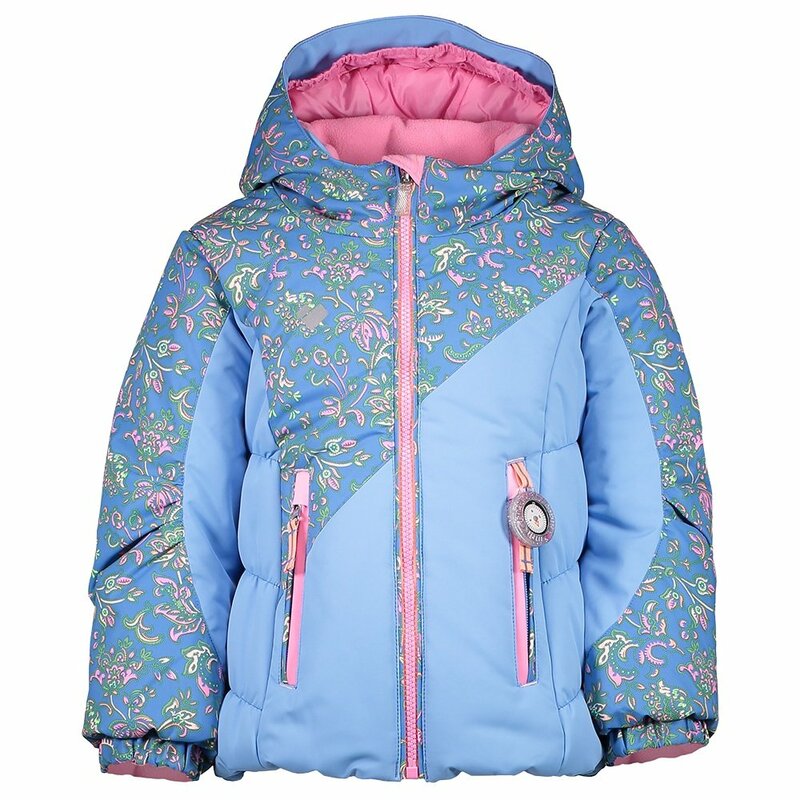 The Obermeyer Cakewalk Insulated Ski Jacket brings full-size weatherproofing and warmth into a kid's size jacket with integrated I-Grow™ growth system. The exterior HydroBlock™ fabric offers full 10K waterproof-breathable protection while carefully mapped insulation adds warmth in all the right places. A hood with integrated ear warmers and an adjustable powder skirt help her keep warm and dry. Features like the interior stretch pass pocket, glove-retention clips and "goodie" pocket keep her organized all day, every day. She'll pick up your love of skiing in no time with the Obermeyer Cakewalk Ski Jacket keeping her warm and focused.